← Narcissistic men more prone to health problems? Eating fish during pregnancy is a controversial topic. We all know fish are very nutritious and packed with B vitamins, lean protein, and omega-3 fats which are beneficial for the baby’s brain and cognitive development, visual development, prevention of hypertension during pregnancy as well as prevention of postpartum depression. But unfortunately, fish can also have some unhealthy contaminants, including mercury. Because of this, many pregnant women are opting to take fish oil supplements during pregnancy instead of eating mercury-laden fish. But not all fish oils are the same; not all fish oils are “clean” or free from heavy metal contaminants. 1) Find a fish oil that has been purified. Raw fish oils contain environmental toxins that accumulate in a fish during its life span, so find a product that has been molecularly distilled, with the potential environmental toxins (such as heavy metals, dioxins, PCBs, etc.) removed. A good quality fish oil will have independent (3rd party) laboratory testing which documents the absence of PCBs, heavy metals, and dioxins. 2) Make sure the product contains a higher DHA (docosahexaenoic acid) to EPA (eicosapentaenoic acid) ratio. “If [pregnant and lactating women] don’t eat fish, [they] should take fish oil pills or supplements that have a 3-to-1 ratio of DHA to EPA,” says nutritional scientist Dr. Bruce Holub of the University of Guelph in Ontario and executive director of the DHA/EPA Omega-3 Institute there. “That’s the same ratio found naturally in fish,and getting too much EPA compared to DHA during pregnancy might diminish DHA’s benefits,” he explains. 3) Ensure a daily intake of at least 200 to 300mg of DHA. This entry was posted in Babies/ Children, Fertility, Nutrition, Pregnancy, Toxins and Our Health and tagged DHA, docosahexaenoic acid a, eicosapentaenoic acid, EPA, fish during pregnancy, fish oil, nutrition, pregnancy. Bookmark the permalink. 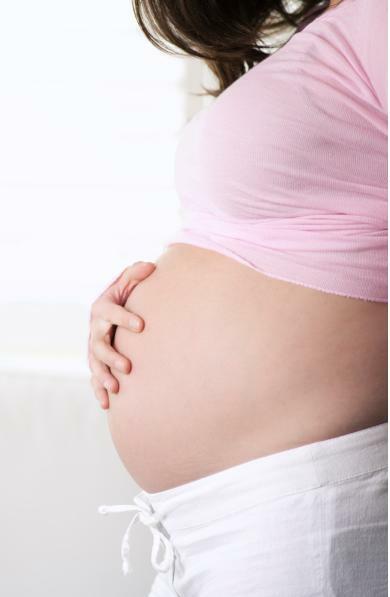 1 Response to Fish oil supplementation during pregnancy: what’s best?